Garden space design depends on many things. How large is your space? What types of plants do you have in mind? What garden space layout will work best for your situation? Whether it’s space saving gardens for small areas or a grand garden design, you’ll find what you’re looking here. Creative garden spaces are possible for everyone. Learn how to garden in small spaces, large spaces and all spaces. Designing a garden space for your needs is easy, so browse through the following articles, as you’re sure to find something to fit the space you need. You don't have to belong to a certain religion to find numerous benefits in meditation which span mental, physical and spiritual areas. A meditating garden helps focus the mind and provides the ideal environment for the practice. Learn more in this article. It may be nightfall before we can find the time to sit down and relax. By this point, many of our favorite blooms may have closed up for the night. Designing moon gardens can be an easy fix to this common problem. What is a moon garden? Click this article for the answer. When we talk about gardening climates, we often use the terms tropical, subtropical or temperate zones. So exactly what is a subtropical climate? Click this article for the answer, as well as a list of plants that grow in the subtropics. 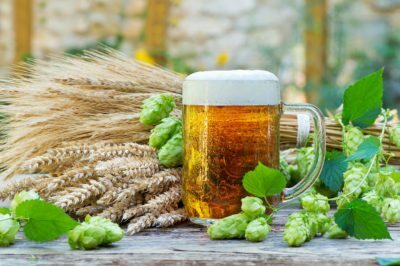 Knowing what plants are in beer and how to create a signature brew is the first step. Beer garden plants may be the perfect complement to an existing garden or to a completely new landscape. Click here for tips on how to grow a beer garden. A large metropolis can become a much warmer climate than rural areas around it. Green roofs have become a popular solution for reducing this urban heat island effect. Click this article to learn more about how to grow a green roof garden. According to legend, Cleopatra credited her exceptional beauty to bathing in aloe vera gel. There are many other common garden plants that that can be grown and used in beauty care. Learn about creating a cosmetic garden and selecting plants for beauty gardens here. Growing your own bridal bouquet can be a rewarding and economical project, as long as you know what you?re getting into. Learn more about how to plant wedding flowers and caring for wedding flowers you?ve grown right here. We?ve all heard the verse: ?Ring around the rosies, pocket full of posies?? Have you ever questioned, exactly what is a posy (or posey)? Click on the following article to learn the answer, as well as tips on how you can create a posy plant garden of your own. A forest garden isn?t exactly a forest, and it isn?t quite an orchard or a vegetable garden. Rather, a forest garden is a planting method that takes advantage of beneficial relationships between plants. Learn about planting an edible forest garden here. In order to showcase their beloved plants, many Victorian gardeners chose to display them in Parterre knot gardens. What is a Parterre garden? These are a take on the traditional knot garden but slightly simpler to maintain. 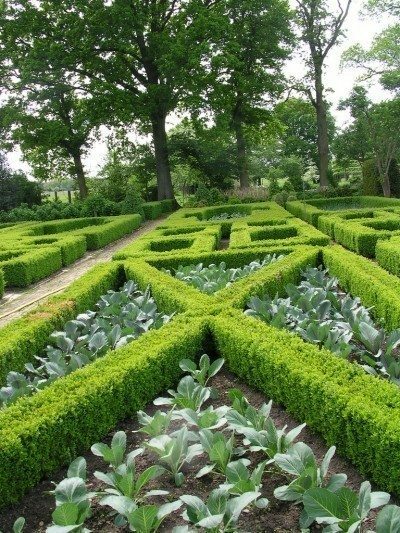 Learn how to create a Parterre garden here. What is a Virgin Mary garden? It?s a garden that includes a selection of the many plants that are named after or associated with the Virgin Mary. For Virgin Mary garden ideas plus a short list of Mary garden plants, this article will help. If you?re fascinated by other people?s gardens as I am, it probably hasn?t escaped your notice that many people incorporate items of religious symbolism into their landscapes. Gardens are ideal places to pause and reflect, pray and gain strength. Learn more here. You?re probably familiar with theme gardens such as Japanese gardens, Chinese gardens, desert gardens, wildlife gardens or butterfly gardens. Types of theme gardens vary widely, and you?re limited only by your imagination. Click here to learn more. What is a Shakespeare garden? As the name implies, a Shakespeare garden is designed to pay homage to the great English bard. Devising a Shakespeare garden design of your very own is every bit as fun as it challenging. Click here for a few tips to get you started. Smell is a very powerful sense, so why not plan your next garden around them by creating a perfume garden? Use the information in this article to learn more about how to grow a perfumed garden and how to pick the best fragrant garden plants. What is Le Jardin Sanguinaire? Literally, it means Blood Garden, and introduces plants with "blood" in the name or blood red color and those with traditional uses to improve blood health to the garden scheme. Learn more about these garden here. There are many possibilities for plants for a Halloween garden. When you are selecting Halloween inspired plants, go for the interesting, the spooky and the night-blooming. This article has some tips on choosing plants with a Halloween theme. Creating ghostly gardens doesn't have to be just a Halloween gag, but can be incorporated as a permanent part of the landscape, reminding us of our place in the cycle of life while also adding a fun, exciting note of the macabre. Click here to learn more. Plants that attract fairies are part of historic lore. It was believed that fairies in the garden were industrious and would help maintain the health of the garden. Click this article for some suggestions about plants for fairy gardens. Why not extend our outdoor viewing pleasure into the darkness by creating a nightscape? Garden nightscape design is easy and so much fun. There are many ways to create the nightscape of your dreams. This article will help get you started. If you are an avid gardener and you have a dog, then you know what it is like trying to develop and maintain a backyard. We love our dogs, but the negative impact they have on the garden can be so discouraging. Learn more about dogscaping here. Planting a garden in layers considers both vertical and horizontal eye appeal but also the aspect in which we view the area and seasonal interest. Learn how to build a layered garden with a brief tutorial on the process and its components here in this article. Want to do something interesting with your harvest - like natural dyes and wine making? Then try growing plants for hobbies. Learn more about functional landscaping and how to create a ?Grow and Make? garden in this article. A legacy, according to Merriam-Webster, is something transmitted or received by an ancestor or predecessor, or from the past. How does that apply to the world of gardening? What are legacy garden plants? Click this article to learn more. 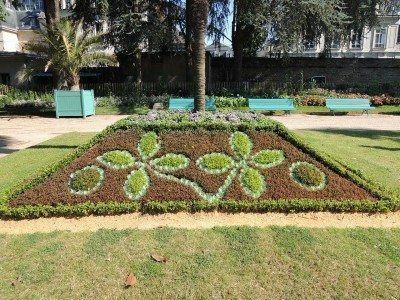 Writing with bedding plants is a technique often used to display a company name or logo, or to denote the name of a park or public event. But you can easily learn how to plant flowers to spell out words in your own garden. This article will help. Once established, maintaining a wildflower meadow requires little maintenance and end of season care for meadows is minimal. 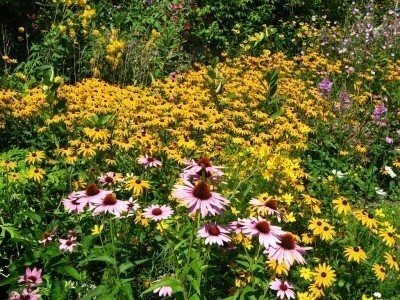 To learn more about backyard meadow care, especially in the fall, this article will help. The benefits of indoor plants in hospitals may be more than visual and stimulating in form, scent and color. Using live plants in hospitals brings a promise of life and renewal of hope. Learn more about plants with healing qualities in this article. If you are lucky enough to live by a lake or stream, fill your backyard garden with plants for riparian areas. Planning a riparian garden can be easy and fun. A well-planned riparian garden creates a refuge for wildlife. Learn more here. Tundra plants must be adaptable and tough enough to survive harsh conditions. Native northern plants are good choices for a garden in tundra regions. They are well adapted to the harsh, barren climate and short growing season. Read this article to learn more. 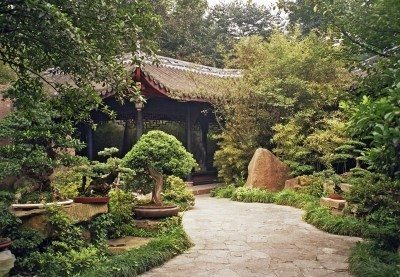 A Chinese garden is a place of beauty, serenity and a spiritual connection with nature that provides busy people with much-needed respite from a noisy, stressful world. Learn how to create one of these gardens in this article. Click here for more. If you are a cat lover and a gardener, you want to make your garden friendly to your feline friends. There are things you can add to your garden to help your cats and your plants get along together. Read this article to learn more about making your garden cat friendly. While most 1950's style gardens and yards were filled ?all things tacky,? you can recreate a style of your own using some retro garden ideas from way back when. This article focuses on the use of pink, black and turquoise plants for a 50?s garden theme. Although rock gardens are sometimes located on sunny, open areas, they are often created where they add beauty and stabilize the soil on difficult slopes or hillsides. Speaking of soil, what can be found in a rock garden soil mixture? Click here to learn more. A Buddhist garden may display Buddhist images and art, but more importantly, it can be any simple, uncluttered garden that reflects Buddhist principles of peace, serenity, goodness and respect for all living things. Learn how to create one here. Creating beauty in one?s surroundings is a human trait and also a reflection of religious beliefs. Islamic tradition includes historic gardens built as a result of the Koran?s teachings and arid conditions. Click here for more info on this garden design. Biblical garden plants are referenced continually throughout the Bible. In fact, more than 125 plants, trees and herbs are noted in scriptures. This article will explain how to create a biblical garden with some of these bible garden plants. A Jewish biblical garden is a great way to express your faith while creating a beautiful place for your family or community. It is a place for peaceful contemplation and meditation. Find out about creating Jewish Torah gardens in this article. What is a Hindu garden? This is a complicated, many-faceted subject, but primarily, Hindu gardens reflect the tenets and beliefs of Hinduism. 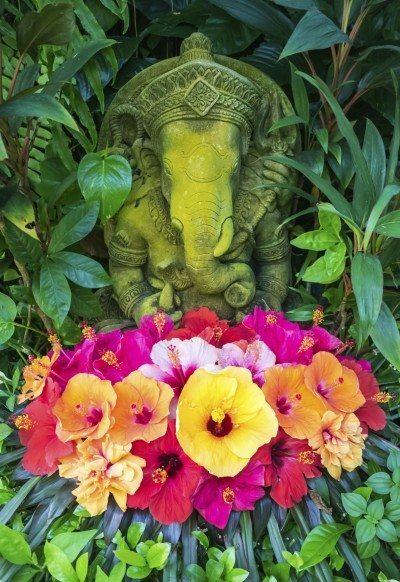 Hindu garden designs are guided by the principal that everything in the universe is sacred. Learn more here. Creating rock cairns in the garden is a great way to add something different to the landscape. 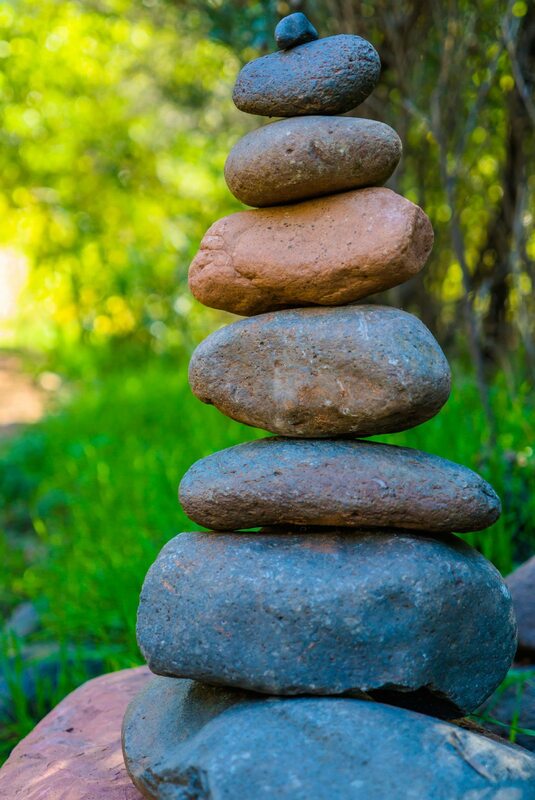 Using cairns in gardens can provide a site for reflection, as the contrasting colors and shapes of the stones create a calming, peaceful feeling. Learn more here. For those of us with slightly neurotic tendencies, the thought of actually encouraging weeds to grow sounds crazy. However, the idea isn?t as nuts as it sounds and a few weed garden tips from this article will set you on your way. Nothing speaks Halloween like scary gardens. Within these plots, you may find unpleasant themes and all that is deemed spooky. But in spite of their gloom and doom appearances, these dark, spooky garden designs deserve a rightful place in the landscape. Learn more here. Gothic gardens are not only popular around Halloween. They can be enjoyed year round with the right design. 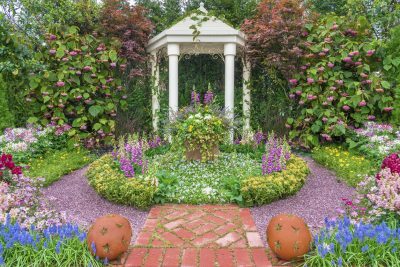 Whether it be gloom and doom or whimsical and magical, the tips in this article can help get you started in designing a gothic garden for your needs. It is commonplace to find me outside reading. I love reading and my garden, so it comes as no great surprise that I am not alone, thus a new trend towards reading garden design has been born. This article has more info on reading gardens. Often created to take advantage of a naturally sloped or terraced area, garden rockeries are focal points in the landscape. 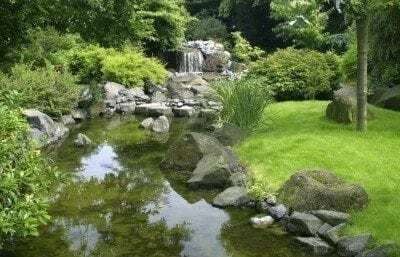 Read this article for more information and learn how to make a rockery of your own. All you need are rocks and Alpine plants. If you are lucky enough to live where an outdoor pool is a way of life, there are plenty of plants that are low on the mess scale that are suitable for planting poolside. What are some poolside plants? Read here for a few no-fuss suggestions. Specialty herbs and vegetables are ones that are hard to find, difficult to grow, don't grow well in your area, grow out of season, or are prized by gourmet cooks. Learn more in this article. White flower themes are easy to create and work with, as many plants for an all-white garden exist in numerous forms, sizes and bloom times. This article will help you to get started with creating white gardens. 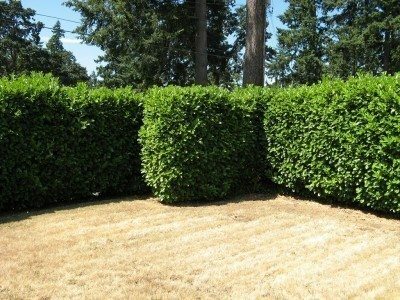 Formal garden style always rely on geometric shapes and straight lines, and usually concentrate on green, leafy plants instead of flowers. Find out more about formal garden design in this article. 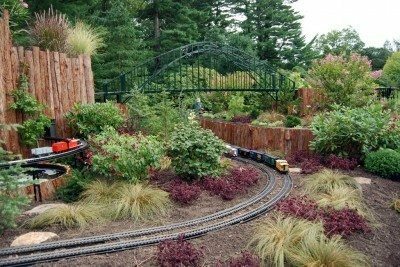 For train enthusiasts who also love landscaping and digging in the dirt, a train garden is the perfect combination of both hobbies. Learn more about creating a train garden in this article. Growing alpine plants is a great way to fill difficult areas with unusual foliage and blooms. Get information on these plants and where to grow them in this article. Click here to learn more. Looking for a great way to conserve water while having something a little different? Sunken garden designs can make this possible. For more information on creating sunken gardens, read this article. Shades of pink make up a massive family of colors ranging from ultra vivid magenta to the palest of baby pinks. Learn more about using pink plants in gardens by reading this article. Perhaps the hardest thing about planning a purple garden is limiting your choice of plant material. 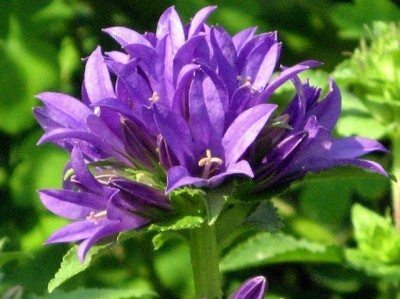 For plant options and tips on how to create a garden of purple, read this article. The color red emits thoughts of passion, love, joy and life. Red flowering plants have a dramatic effect when grouped in masses. Create a red colored garden using the tips from this article. Ah, blue. The cool tones of blue evoke wide open, often unexplored spaces. Using blue plants in a small garden lends itself to creating the illusion of depth and an aura of mystery. Learn more here. Orange is a warm, vivid color that stimulates and creates a sense of excitement. There many different types of orange plants to choose from to create an orange garden theme. Learn more here. Yellow plants as a single color scheme greatly enlivens the garden. Yellow gardens also bring warmth to the landscape. Learn how to design a yellow colored garden in this article. A great way to enjoy some plants year round is by implementing a sunroom for all seasons. There are many plants for sunrooms that can provide interest. Find out about some of these in this article. Monochromatic gardens make use of a single color to create a visually appealing display. Learn more about creating a monochromatic color garden in this article. Click here for more information. Designing year-round gardens ensures that your home is surrounded by color and interest through all four seasons. This article will help get you started on gardening for all seasons. For most homes, the front door garden is the guest?s first impression of you and is scrutinized the most closely. Find out more about choosing a plant for front entrances in this article. The most visually appealing way to block noise is with a dense growth of plants. 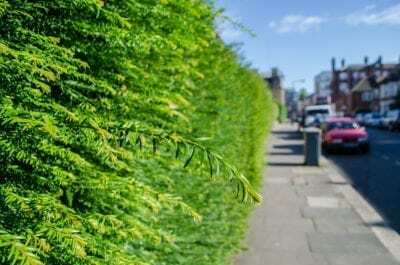 Noise blocking plants are especially useful in urban areas. Learn more in this article and block out those annoying sounds. Plants with silver or gray color serve as buffers between areas of intense color or changes in theme. 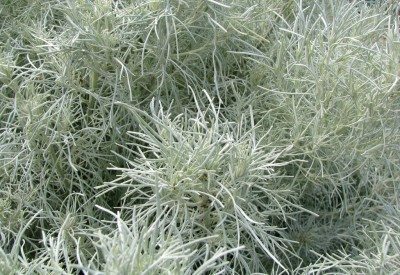 Learn more about how to use silver foliage plants in the following article. Chocolate gardens are a delight to the senses, perfect for gardeners who enjoy the taste, color and smell of chocolate. Read here to learn more about how to grow a chocolate themed garden. Cemeteries are peaceful places for contemplation and reflection. The newly bereaved may wonder, ?Can I plant flowers in a cemetery?? Yes, you can, and this article can help with how and what plants are suitable. Some people use pergolas as a trellis over a walkway or to protect an outdoor living space. Use the following article for tips on the best plants for a pergola. Click here to learn more. If you?re looking for a garden that?s practical as well as beautiful, consider growing a colonial kitchen garden. Read this article to learn more about how to create a colonial garden of your very own. Nothing beats the natural appeal of a bog garden. Creating an artificial bog garden is both fun and easy. Most climates are suitable for bog garden plants. Read here to learn more about how to build a bog garden. 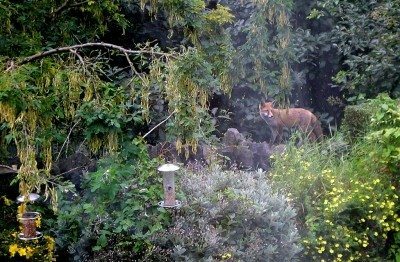 A garden for wildlife doesn?t have to be a jungle of unkempt plant life and rodent attracting eyesores. It can and should be a quiet refuge for you, the birds and animals. This article can help. Growing cutting gardens is a worthwhile experience for anyone wanting beautiful flowers to adorn their home. There is no one-size fit all plan to growing a cutting garden, but you can get tips here. The key to a successful landscape is to work with your environment. Part of learning how to make a desert garden is finding out what plants are best for desert gardens. This article can help with that. Creating a prairie style garden is an excellent alternative to a traditional lawn or landscaping scheme. Caring for prairie gardens is easy. This article will help get you started. Rain gardens are quickly becoming popular in the home garden. 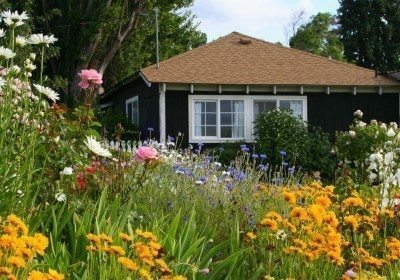 Making a rain garden design for your yard is not hard, and the tips in this article will make it even easier. Click here to get started. Many people are intrigued with the Victorian black garden, and growing your own is not hard at all with careful planning beforehand. Use this article to help guide you during the planning process. In our haste, we often forget the profound affect our surroundings have on our well-being. We overlook the potential for calm and tranquility that the backyard offers. Learn how to change that in this article. Moon gardening at night is a great way to enjoy white or light-colored, night blooming plants, in addition to the intoxicating aromas. Read this article to get ideas for a moon garden. Keyhole garden beds are commonly seen in permaculture gardens. These beautiful, productive gardens are ideal for small spaces too. For more information, read this article. Get started now to create your own keyhole garden. When planning to do rock gardening, you want to make your rock garden plants and the rocks in the garden mesh with your home. Get information on plants for rock gardens in this article. How does wind affect plants? Wind is air in motion, and strong winds can cause plants to sway excessively, pulling and tugging on their roots. This article can help with choosing wind-resistant plants. Landscaping Software – Is Landscape Design Software Really Helpful? 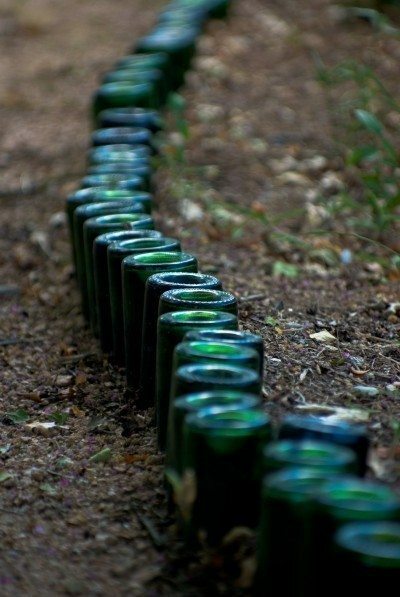 Landscaping always starts with an idea. Sometimes we have in mind want we want and sometimes we don't have a clue. Landscaping software programs can make this easier. Learn more here. Japanese flower gardens are works of art, if done well. The key to designing your own Japanese flower gardens is to keep it simple and try to imitate nature in the layout. This article will help. Building A Berm: How Do I Make A Berm? Berms are an easy way to add interest to the landscape and not as complicated as one might think. By following a few simple guidelines in this article, you can learn how to make a berm. If you are plagued by rocky soil or have a part of your yard that is simply prone to problems, you may want to consider building a rock garden. Learn more in this article and take advantage of those problem areas. Fairy gardens are becoming increasingly popular in the home garden. With the tips from this article and a little creativity, you can learn how to create your own fairy sanctuary. Click here to learn more. 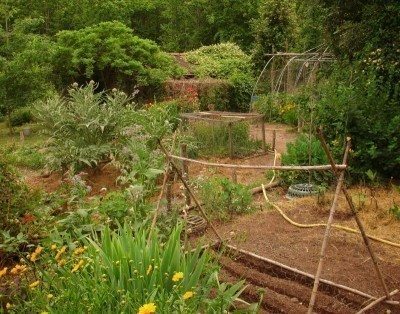 Many people wonder how to design a potager garden for their home. Designing a potager garden is easy if you just know a few things about them. Find out what those are in this article. Dogs are one of the most popular pets in the world. So, it would stand to reason that dog vs garden issues happen. This article provides tips that can help make your garden more dog friendly. When creating these living screens, you should first determine its overall purpose, size, and location. Ask yourself questions to solve your particular screening problem. This article can help. A berm is an easy way to add interest and height to the landscape. Creating a berm is not that difficult. Read this article to learn more about using berms in the landscape. Click here now. Creating a low-maintenance landscape takes careful forethought and planning. For more information on creating a low-maintenance garden, use the tips in this article. Click here to learn more. An island bed can put pizzazz into a landscape by adding color, texture, and height to the area. Take a look at how to design an island bed in the landscape using this article. Find out more here. Gardening is not only a hobby; it's an art form. While most gardens are a result of a particular climate or landscape, many are simply an extension of the gardener's imagination and passion. Read more here. A well-planned garden design should reflect the personal style and needs of its owner, but it should also give the garden a sense of belonging within its surroundings. Learn how to do this here. A well-designed garden can provide an attractive frame for the home and surrounding landscape. Use the following tips found in this article to create a beautiful garden of your own. While the idea of enjoying a pleasant winter garden seems highly unlikely, a garden in winter is not only possible but can be beautiful too. Learn more about winter garden plants here. There?s more to gardening than growing plants. Garden features are an important part of the visual design. Learn more about creating interesting features for the garden in this article. Get started here. 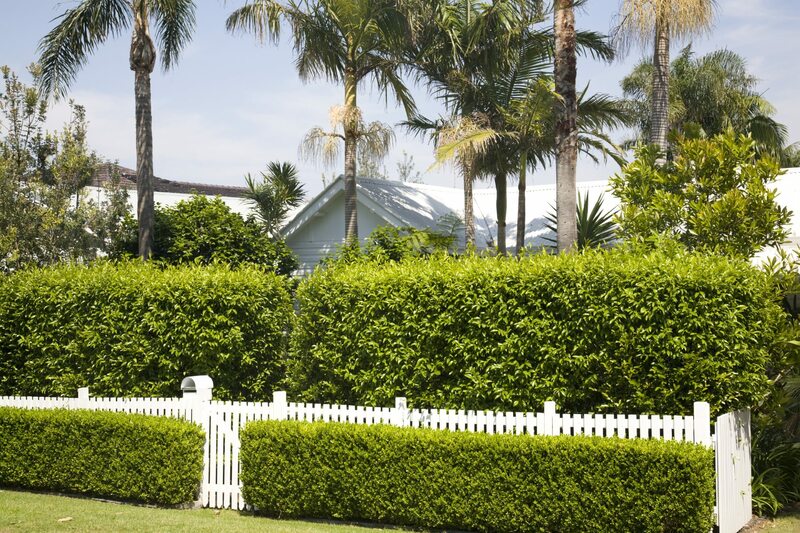 We all work hard in keeping our front yards well maintained. After all, this is the first thing people see. But what about the backyard? It can be just as important. Read here to learn more. There are many ways to add finishing touches to your gardening projects, and landscape edging is just one way. Dare to be different. 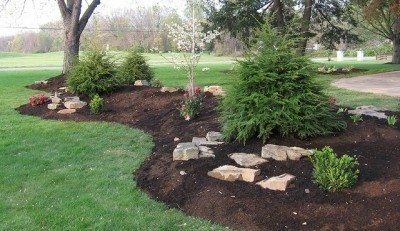 Read here for ideas on creative edging, borders, and more. 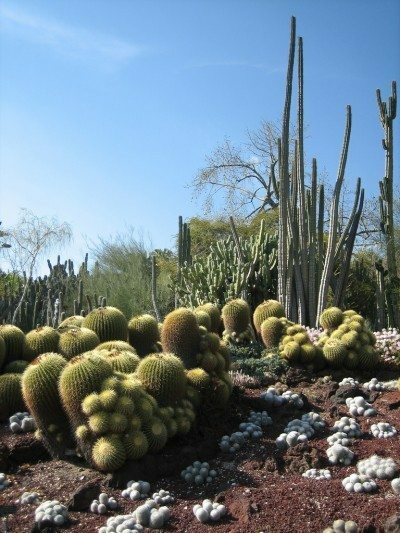 Did you know that many arid plants are perfect for an exotic Mediterranean style garden? To learn more about this garden style and the plants grown in them, read this article. The best location for plants is a garden room or solarium. Many plants thrive on patios too. Use the following article to get good plant choices for patios and garden rooms. Click here to learn more. Got a tangled mess in your backyard? Turn it into an exotic jungle garden. With a little creativity, you can easily transform a messy landscape into a tropical paradise. Read here for tips. You don't have to live in the tropics to enjoy exotic gardening. Gardening with exotics is something that can be done anywhere and in any climate. Read here for more information on creating an exotic garden. A natural garden can easily transform into a garden for all seasons. It doesn't take a genius to design a natural garden; however, some planning beforehand might be wise. This article will help. Because native plants are ?at home,? 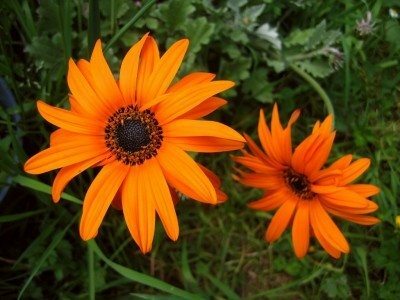 they are hardy, drought-tolerant and generally require no pesticides, herbicides or fertilizer. Try your hand at gardening with native plants, but learn about native plant environments beforehand in this article. As landscapes mature, things change. Trees get taller. Children grow up. You get older. Making over your garden is often necessary as a result. Learn more in this article and give your garden a makeover. Serendipity can be found in numerous places. It's all around us. What is serendipity, and what does it have to do with gardening? Find out more in the article that follows. Click here now. Few things compare to the simple beauty of a wildflower garden, and with minimal effort on your part, it can become a reality. 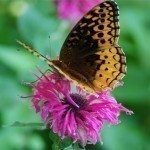 Read here to learn more about creating a wildflower garden in your backyard. The classic English garden may date as far back as the first century A.D., but they are still just as popular today. 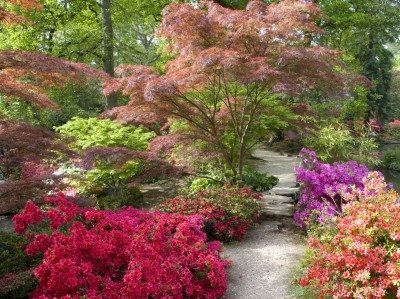 Read this article to learn more about the elements of an English garden. Rock gardening is a great way to make any yard welcoming, and it doesn't require much work. You can design your rock garden to be simple or complex. Learn more in this article. Creating a garden border that will add beauty and intrigue to your landscape is simply a matter of letting your imagination explore the possibilities. Read this article to get more information. Most of us give very little thought to designing our gardens for winter interest. This, however, can be an important aspect to consider. Learn more designing winter gardens in this article. English cottage gardens consist of vegetables and mixed fruits. In amongst this array of produce also grow flowers. For more information on how to plant a basic English cottage garden, read here.